Are you fond of using accessories? I do! But my problem is how to organize these in a way that everything can be within reach. I would admit, I used to have different containers for my accessories and more often, I can't find the correct piece to match my wardrobe in an instant. Normally I would just settle using the same set of accessory especially when I'm in a hurry to work, as I don't have the time to search for what I really want. Not until I see this drawer organizer which is really cool and could help me find the right accessory for my outfit without going through the tedious job of searching from all my small boxes in the cabinet. 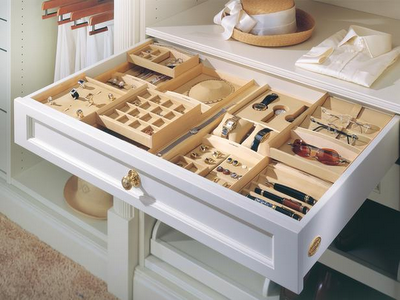 I think this is really a good way to organize those small stuff. I would definitely have one fabricated for my personal use. Okay naman ang chat box ko sa My Journey sis. Baka natagalan lang pag load... Have a blessed Sunday sis! It looks very elegant accessories. I like the design because it's unique.